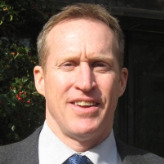 Eric C. Schwaab was appointed in February 2010 to run the National Marine Fisheries Service, part of the Department of Commerce. 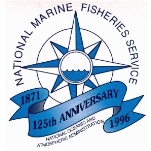 In this capacity he oversees the management and conservation of marine fisheries and the protection of marine mammals, sea turtles and coastal fisheries habitat within the United States exclusive economic zone. Schwaab grew up in West Baltimore and then farther west in Carroll County, Maryland. He received his undergraduate degree in biology from McDaniel College and a master’s degree in environmental planning from Towson University. He has spent the majority of his 25-year career in natural resource management working for the Maryland Department of Natural Resources, where he began as a natural resources police law enforcement officer in 1983. In time he managed Deep Creek Lake State Park, served in waterfront and resource management positions with the State Forest and Park Service, and moved up to be director of the Maryland Forest Service; director of the Maryland Forest, Wildlife and Heritage Service; and director of the Maryland Fisheries Service. In 2003, Schwaab was fired after losing a fight over crabbing restrictions with Republican governor Robert Ehrlich, Jr., who reduced restrictions on behalf of seafood processors. Schwaab had been a leader in the battle save the blue crab population of the Chesapeake Bay. Schwaab then moved to Washington, D.C. to serve as resource director for the Association of Fish and Wildlife Agencies. When Ehrlich lost his bid for reelection in 2006, Schwaab returned to the Maryland Department of Natural Resources as deputy secretary, making him the No. 2 for the agency. He served as a member of the U.S. Department of Commerce Marine Fisheries Advisory Committee from 2005-2010.